Yesterday, Governor Andrew Cuomo called the region’s transit investment plan “bloated” and rejected calls for new revenue. Today, MTA Chairman and CEO Tom Prendergast, speaking at a forum on best practices in regional transit governance, hammered home the need for elected officials to find new money to fill the half-funded capital plan’s $15 billion gap. Today, debt service eats up an ever-greater share of the authority’s budget, with the MTA spending almost as much in debt service as it does to operate Metro-North and Long Island Rail Road service combined. During his comments yesterday, Cuomo also repeated his rejection of toll reform or other new sources of revenue to help fill the capital program’s gap and reduce the MTA’s reliance on debt. The panel this morning, hosted by the Eno Center for Transportation, TransitCenter, and the Regional Plan Association, marked the release of a new report examining the governance of regional transit systems in New York, Boston, Chicago, San Francisco, Dallas, and the Minneapolis-St. Paul area [PDF]. While panelists noted that New York often serves as a model for other systems, the MTA came in for serious criticism on the way it is governed by its board members and the governor who appoints them. “If the governor is in charge of every single appointment to a board, you’re going to see outcomes that the governor cares about,” said Eno President and CEO Joshua Schank. “[In] New York in particular, it may be that his constituency is more in suburban areas, where that may be a place where capital investments are prioritized.” Today, all board members are appointed by the governor, some on the recommendation of local officials; Schank called for more direct representation of New York City on the board. Public-private partnerships came up as a potential solution. “There are some core competencies that are not ours that maybe public-private partnerships would be better suited for. 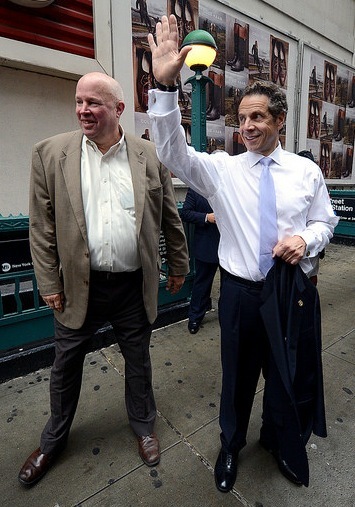 Mega-projects, for example,” Prendergast said, adding that the MTA already has the ability to execute design-build contracts and does not rely upon a state law set to expire at the end of the year. Earlier this year, Cuomo appointed the Transportation Reinvention Commission to create a blueprint for the MTA, including its funding needs. Over the summer, consultants for the commission said a report would be out in the first week of September. An MTA spokesperson said today that while drafts are circulating, there is no release date scheduled for the final report. Not all unions. From what I can tell, SEIU is very “everyone join, everyone get the same deal”, and there seem to be quite a lot of other unions like that, ones who aren’t classist at all. UNITE HERE (Garment Workers Union) is pretty cool, etc. SOME unions are extremely classist. It’s actually specifically railroad unions which are very classist; they’re messed up. Transit unions like the TWU are somewhat classist, but not as bad as the railroad unions (BLET, etc.) who fight over whether engineers or conductors are better, they don’t want those nasty on-board workers in their union, etc. Sheesh. The railroad unions at the LIRR seem to be the worst of all. The railroad unions abandoned solidarity back in the 19th century, when they decided to segregate along “craft” lines. While there was a recent, major change at Metro-North, where a bunch of different unions finally got together as one, LIRR still has these crazy craft unions which protect their turf and don’t care about anyone else. Yes, private ones are often not classist. The IWW is about as non-classist as you can get. SIEU can vary greatly by chapter. But private ones are the ones that were killed/marginalized first. I don’t think the TWU is all bad. They do stick up for their people, and they basically treat them all the same. But some work rules are just indefensible, and their refusal to change anything at all just guarantees pain even for them whenever another crisis hits.